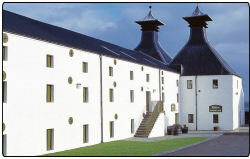 Ardbeg Scotch Whisky Distillery was founded in 1815 and produces the range of Ardbeg Single Malts. If you would like to visits the Ardbeg Distillery Visitor Centre their address details are Ardbeg Distillery, Port Ellen, Isle of Islay, PA42 7EB and contact telephone number is +44 (0)1496 302244. You can read more about Ardeg Distillery at their website Click here to find out more information regarding this fine Scottish distillery. The Committee hurl themselves into the latest Committee bottling, Ardbeg Corryvreckan. Ardbeg Renaissance completes the peaty path to maturity in June 2008, with a full strength release of ten years old distilled in 1998. The journey continues with the launch of Blasda, a lightly peated Ardbeg, in September 2008. Ardbeg Uigeadail makes it a Double by winning World Whisky of The Year in Jim Murray’s 2009 Whisky Bible. A phenomenal achievement! Tasting note for the Ardbeg 10 Year Old Single Islay Malt can be found on this website. 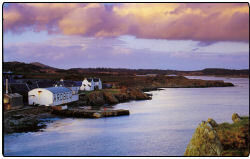 You can also read more regarding Ardbeg Whiskies Distillery on the latest news page.